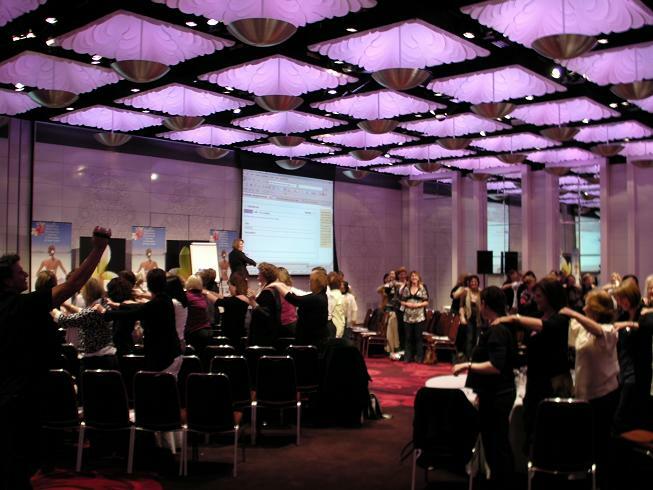 Wendy Chamberlain is an engaging, inspiring speaker who shares her message with passion and enthusiasm. She will leave your audience feeling empowered and enriched. Inspired by the desire to educate and empower others and driven by her passion, Wendy Chamberlain threw in her high-powered, six figure job with its $45 million budgets and gut wrenching stress and started a real estate education website, affluencia.com, showing enthusiastic would-be property owners how to get started in real estate. Wendy Chamberlain made it to the very top of the corporate IT world, managing $45 million budgets, but she didn’t like the view! The stress was literally killing her. The Melbourne based super-achiever had dabbled in real estate investing along the way without really knowing what she was doing and too often buying on emotion. After a few hits and misses, Wendy developed confidence, acquired the necessary expertise and expanded her portfolio. Meanwhile, the gut wrenching stress and associated health issues forced Wendy to reappraise her life. She discovered her true passion and the job had to go. Within days her health improved. Overnight Wendy became fully self employed and, following her passion, reaped the associated financial rewards and lifestyle. Friends noticed the changes in Wendy and began asking her about her new lifestyle. She enjoyed repeating her story and felt driven to pass on her growing expertise to other women trapped in unhappy work situations and looking for financial independence. “I felt obliged to share my experiences and inspire and empower other women to have more financial control over their lives and start feeling better physically and mentally”, she says. Wendy formed Affluencia a women’s real estate investing network where through educational programs, products and events participants learned from Wendy and the hand picked experts she had encountered along the way. A thirteen second appearance on TV’s Hot Property program generated over 6300 hits to Wendy’s website www.affluencia.com and motivated her to expand her investing passion Australia wide. As her real estate education business was largely internet based, and with 15+ years experience in the Information Technology industry and a Computing Degree behind her, Wendy set about discovering as much as she could about the internet and how to successfully run a business and build a list online. Her success again prompted curious questions from friends and colleagues as to how they too could enjoy online success. And thus in 2009 Savvy Web Women was born. Wendy educated and empowered hundreds of business owners and entrepreneurs on how they could get in front of an audience who wanted to buy what they were selling and loved to share how to better understand the internet with her clients. Never venturing far from her enduring passion for all things real estate, in 2011 Wendy launched Social Property Selling, a copy writing service targeting the real estate industry. Having bought and sold many properties in her own portfolio over the past 20+ years using various investment strategies, supporting her clients as their property advocate became a natural next step. The launch of Chamberlain Property Advocates followed. Wendy has now helped her clients buy and sell dozens of properties and embraces her role as a buyer’s advocate, property finder and vendor advocate with fervour. 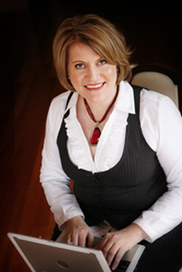 Wendy is available to MC your event or speak live or on your webinar or podcast. To book Wendy, find out more information here. Subscribe to Wendy Chamberlain’s Newsletter. You will receive articles, tips and strategies about how to get the best outcome when buying or selling your home or investment property. Plus, you’ll stay up to date with what the property market is doing.